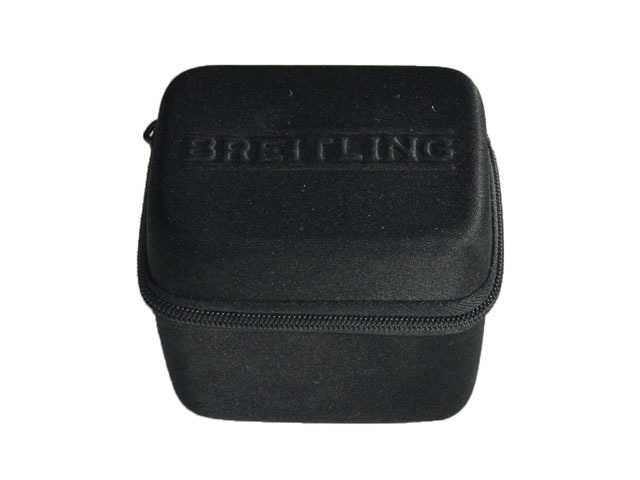 Tissot custom made EVA watch box Faux Leather covering with heat compression embossed logo, black zipper and velvet lining. 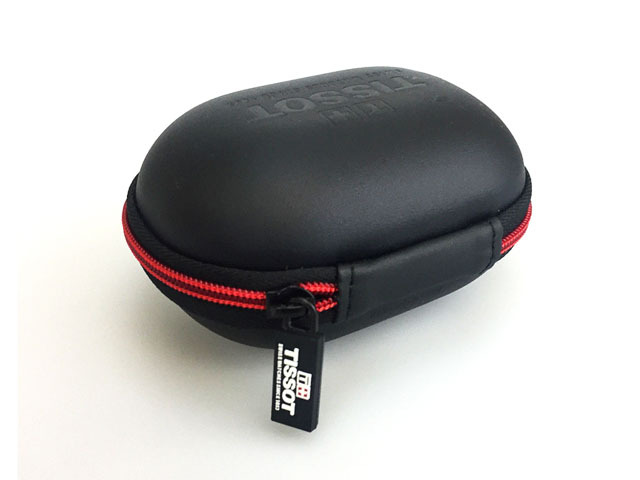 This custom made watch box was produced by Tissot cooperated factory, with a stamped Tissot logo on top, it’s 100% authentic! 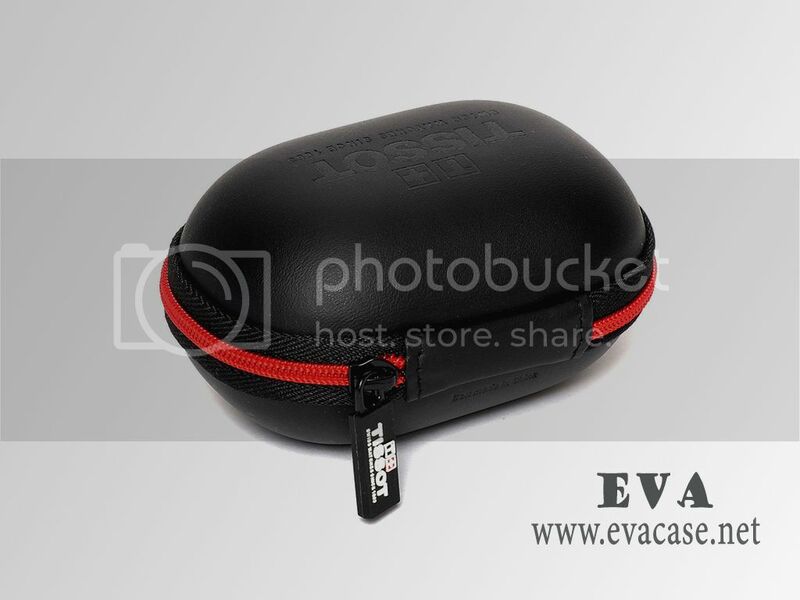 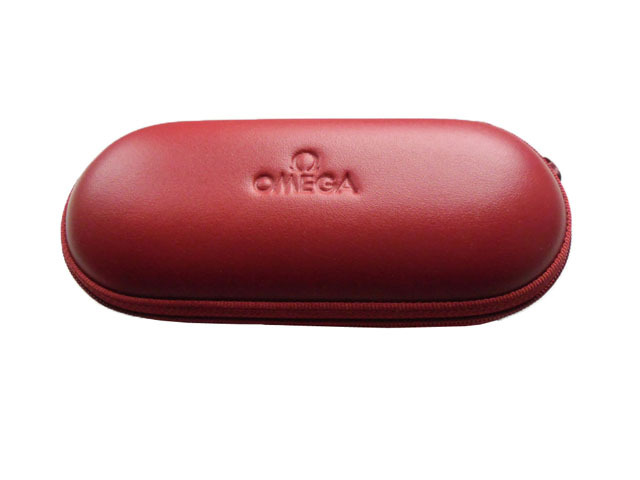 The exterior is very similar as the Hard shell EVA OMEGA customized watch box case, one is hot red, and other is classic black. 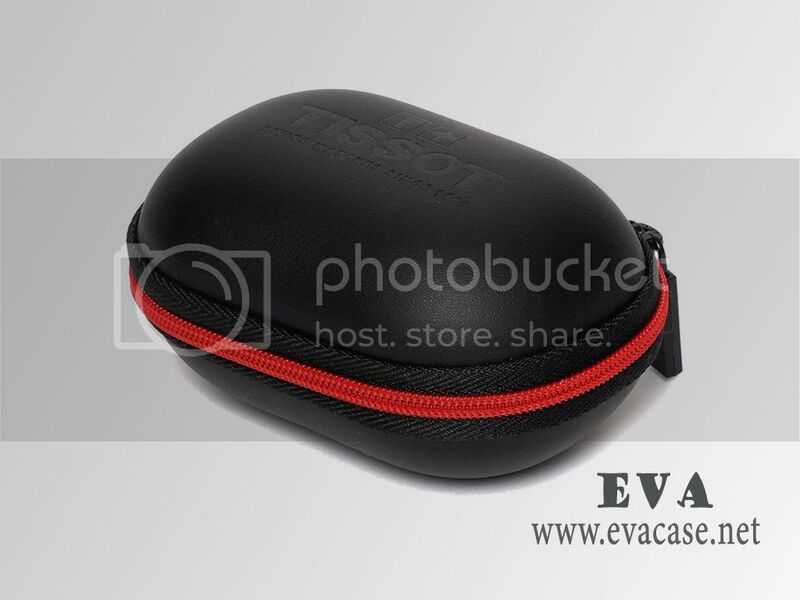 Compact and slim design to fit Tissot wrist watches and other brand wrist watches. 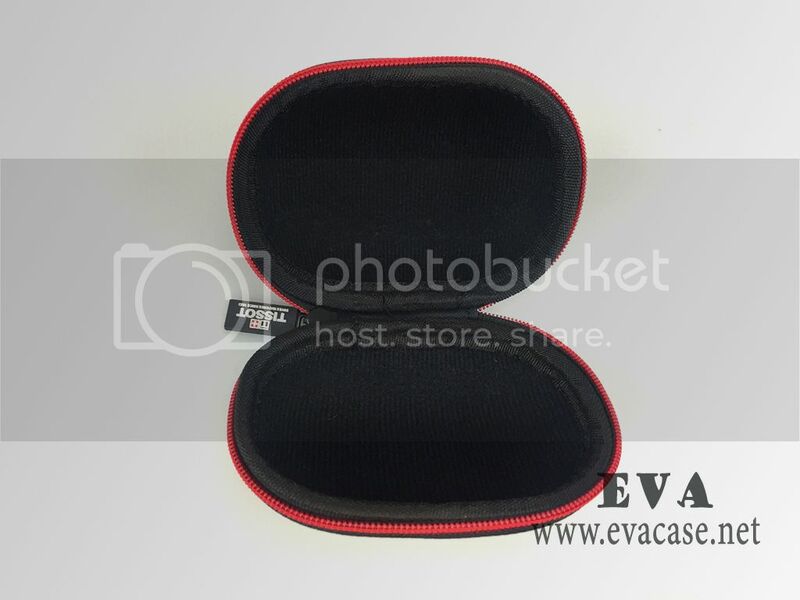 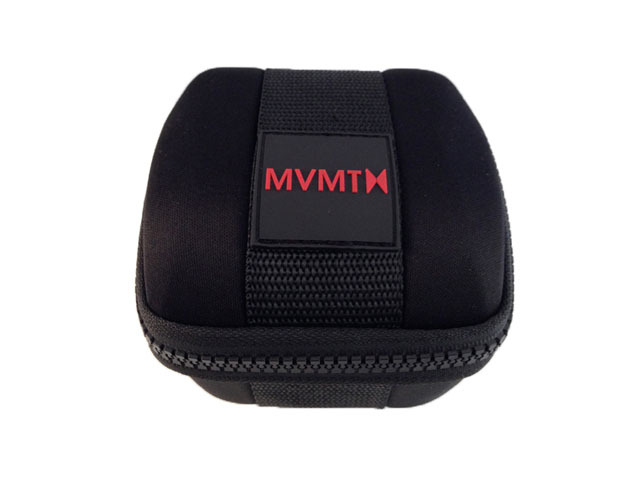 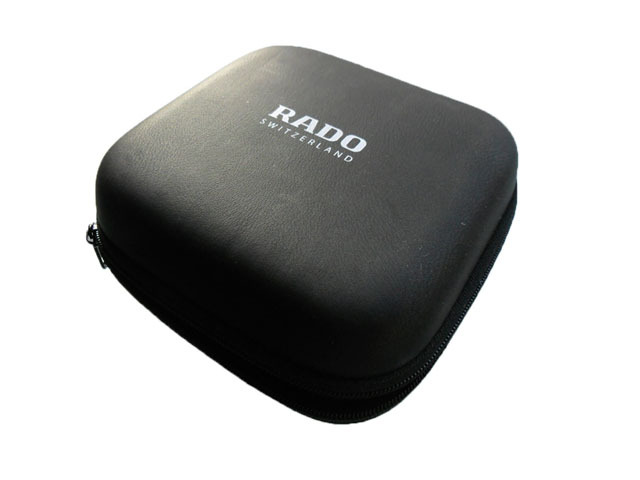 This custom watch box choose the black velvet as the lining for anti-scratch, double colored zipper closure with branded pullers. 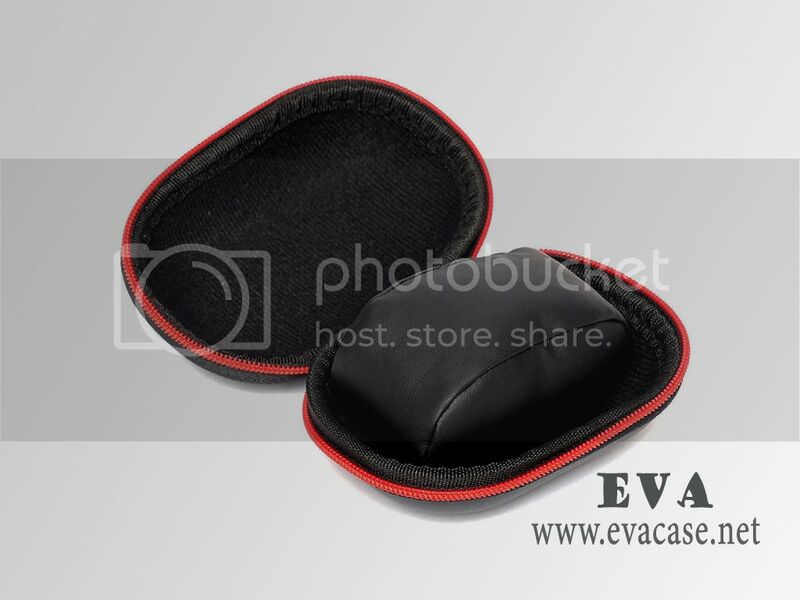 And there’s a soft pillow with cotton in to hold the watch in place.